Wisdom From Kammbia 4.4: Why Do I Write? I was asked a couple of days ago, “Why do you write?” I have developed a standard answer over the past year. But, I have decided that standard answer has been more on a surface response than going deep. 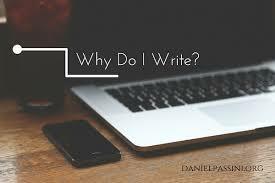 I have told others on several occasions in recent months to find out your why for writing more than anything else. In going deeper, I have uncovered few reasons on why I write. Here’s my first why: because I have too and there’s nothing else in my life (beside my wife and kids) that fills my cup. Nothing else. I discovered that truth after writing Transformation Towards Destiny over the past 2 years and publishing it last October. I wrote and published my first novel, The Descendant of Destiny in June 2014. Even though, I had only made a couple of hundred dollars profit (there’s not an easy road for money as an indie author) and gotten a few positive reviews. I thought I would churn out the second book in 3 months or so like all the advice that I was listening to on the podcasts from top selling indie writers. Life happens: personal issues, marital issues, and other distractions to keep me from writing and publishing Transformation Towards Destiny in three months like I wanted. I can say now that my personal issues are much better on every front than it was 2 years ago. 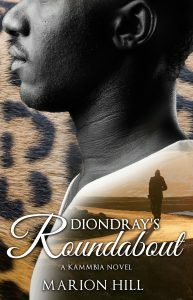 I kept writing the book despite everything I was going through at the time and published it. I have been a storyteller all of my life and made up my own fictional worlds from the Rand McNally map books my mom used to get me as a child. I would create my own country from the maps of Florida or Texas or Georgia and a society of all peoples from those maps for my stories. I realized now those childhood stories were the genesis for my fictional world of Kammbia. Creating and writing Kammbia over the past several years has felt right, even though, I have not sold a lot of books. I know why it feels right. This imagined world has been inside of me for over thirty years. To give my readers an escape, a pleasure and hopefully to get them thinking about things in life differently is the connection I want as a writer. Because that will create an emotional bond that is priceless. I know my colorful, spiritual fantasy novels will not connect with everyone. But whether it’s 100 readers or 100,000 readers, I’m grateful for the opportunity indie publishing has presented to writers these days. My last reason for writing comes from the example In Acts 17 of the New Testament. Paul gets the opportunity to present Christianity to the leaders and intellectuals of Athens. They were curious about this man who had become well-known throughout the world at that time preaching about this strange religion and gaining followers during his travels. Those leaders gave Paul a hearing and listened to him and even though they did not agree with him especially when he mentions the Resurrection of Jesus Christ. However, Paul got an opportunity and a chance to be heard. That’s all you can ask for in life. As an indie writer, I’m just asking for the opportunity to be read. And it’s my job to present a book professionally in order to get that hearing from readers. Nothing else is guaranteed. I can do everything right (eye-catching cover, good story, good blurb, call-to-action in the front & back matter, etc) and still be rejected. However, I still have to do it…because I want to write professionally and make a living with my stories and I have to play by the rules of the game in order to get a hearing for my stories. Those are the reasons why I write beyond the surface answer I have given recently. I would say to other writers (as we finish out 2016 and going into 2017) please find out your why you write and when you reach the truth that’s inside of you as a creative person. Hold on to that truth and don’t stop writing. You will need those reasons more than you will ever realize.